Only one ladder survived to tell the story. 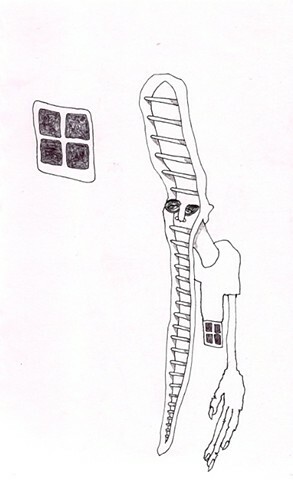 He boarded up his star filled windows and evolved to float above the ground so no one could ever climb him. He left Hidden Ladder Island to tell his story to the worlds beyond. He told me his story and I have made it my mission to share it with the hopes that our world can learn something from the Legend of The Ladder People.